He left. Well again. Am I sad? This time not really, I’m relieved. I can’t explain it but I feel somehow stronger knowing there’s 1000’s of miles between us. But if only it was so easy. My son is asking where his Dad has gone. I didn’t lie, I told him Russia. I took out the World Atlas and showed him where Moscow was on the map. He asked if he was coming back to Scotland? Again I didn’t lie, I told him I don’t know. Also, there’s the small fact that A. has managed to convince the Child Support Agency that he has no job in Russia. This despite the fact he’s there on a business visa (or a work visa) both are only awarded if you have an employer sponsoring you. So he’s lying. Well no surprise there. I can’t recall the last time the man hasn’t lied. Somedays I think our whole marriage was a sham. But seems to me lying to get out of paying financial support toward your only child is pretty low. Even for a serial deceiver. But he’s in Russia, British law is limited there. They don’t exactly employ MI6 to track down dead beat dads. Too bad, I think it would actually be a worthwhile pursuit. Think of all the money the state could save by not having abandoned families left with no other choice but to access benefits. What do I do? Well I spend 24 hours feeling really sorry for myself (yes, there may have been wine consumed) then I get out of bed this morning (and after getting the son off to school), I start looking at my options. I make lists (I love lists), I start navigating the internet. There must be something I can do, so I’m no longer dependent on this man who doesn’t want to help support his child. A man so keen to avoid this responsibility he moves far away, to a dodgy country, where British law has no jurisdiction. I guess if you were writing a book on How To Be a Successful Dead Beat Dad, it might warrant a chapter. But after perusing job sites. I still can’t find that job which will hire me 9:30am-2:30pm, Monday-Friday. Giving me off time for all school holidays and also any time my child may be ill. If anyone out there can find this job, please let me know. I’m very keen. So I start writing again. It helps me clear my head. Makes me feel productive and it puts my problems into perspective. Let’s see this year. Husband/Father leaves (check). Son becomes really upset and has problems in school (check). Diagnosed with stage 2 Melanoma (check). Have severe financial troubles (check). Spend weeks trying to navigate the UK benefits system (check). Move flat alone (check). Surgery on Melanoma (check). Damn, no wonder I can’t wait to see the back of 2014. To say this has been the most challenging year of my life would be an understatement. But I’ve survived. I even got the all clear on my Melanoma. I still have to be checked every 3 months. But thank god I don’t have terminal cancer. I mean, Jesus, what would happen to my son then? So yesterday was another setback. And some days it feels like I still have a mountain to climb. But I wake up everyday, get my son ready for school and realise in so many ways I’m lucky. I have a child who loves me unconditionally. I now have my health back. I live in a fantastic city, and I have family and friends who love and support me 100%. 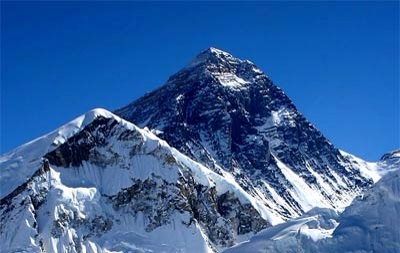 Look out Mount Everest, I’m coming for you! Now before I get chastised from fathers, let me just say this is about my personal experience. I am sure there are examples of mothers deserting their families, but as the current stat. is 92% of single parents are women, I think my title and the context are appropriate. It was mid January 2014, when my husband left. Okay he’ll say I kicked him out, but he was having an affair with some woman in Russia. (one of several he’s had throughout our marriage). So what would you do, say, ‘Fine honey, have a nice f@@k, see you when you get home.’ No, I’d had it. We tried marriage counselling. Personally for A. it was just a box ticking exercise. This wasn’t his first indiscretion and probably not his last. So I did try for many years. 8 or is it 10, to be somewhat exact. Anyway he left, and for 3 weeks I had no idea how to get in touch with him (both his British mobiles had been switched off). I wasn’t even sure which country he was in. Russia, Kazakhstan. I didn’t know. So yeah it sucked. But you see I had to hold it together, because I have this child, a very special son, called E. E. is autistic. But I wouldn’t change anything about him. Okay the stringent eating habits can get a bit old, but this is my child. He is what he is. By week 3, E. asked one night at bedtime, ‘Mom, is my Dad dead?’. I was stunned. It hadn’t occurred to me that in the very literal mind of an autistic person, leaving can sometimes equate to the finality of death. Especially if there is zero contact. (Still hadn’t heard from A. and had no idea how to contact him). Perhaps he was dead, I guess I didn’t know for sure. If he wasn’t he was obviously trying to punish me for something. But he seemed to have no concept or concern about how his extreme absence was impacting his son. I wondered if he’d lost his mind. I still do, to be honest. With the help and support of my amazing family in the States, I made it through those first 3 weeks. (I’d like to say A’s family were a support, but besides 2 cousins and his 90 year old father, who I think still can’t believe it, they were not.). My parents and my siblings were there constantly. My Mom phoned me every single day for a month, just to make sure I was okay. They reminded me that no matter the distance, I was so lucky to have such an amazing family. It was my lovely cousin in California, who contacted A. on my behalf (he wouldn’t respond to my emails), and asked him to get in touch, as his son thought he was dead. So finally an email arrived from A. to arrange a Skype call, so that my very distraught boy, could see his Dad wasn’t dead. So this is how it began, and it’s been a very difficult 10 months for my son and me. We have both been through therapy. E’s school (he attends a special school for children with autism) has been a truly wonderful support for us both. Friends and my family have rallied around. We have even moved flats. Much cheaper rent and more importantly a new space with no reminders of A. Legally, I’m still battling the system. A. was back in Scotland for a few months as his visas for his Central Asian Utopias had expired. He stayed with his family, the folk who still have nothing to do with E. or me. He spent a few random days here and there over the summer with his son. I guess it was enough. I don’t know. Now, I’ve found out he’s disappeared again. I was told just this past weekend, he’s been in Moscow for the last month. Living with the current gal pal (yes, I’m being very restrained here), working? Who knows? I do know, a British citizen can’t stay longer than 30 days on a basic tourist visa in Russia. Unless one obtains a work or business visa. Which means, yes he’s probably working. But no, he’s no longer supporting us*. Not much I can do legally, as British law has no jurisdiction in Russia. So yeah, he could be earning a king’s ransom over there, and I would have no way of forcing him to provide financial support to help keep a roof over his son’s head. So when, I use the term Dead Beat Dad, it’s from personal experience. I have a husband, father to our only son, who abandoned us. The law doesn’t require him to be in our son’s life and can’t even compel him to financially contribute to our existence. I currently live on benefits. As I’ve never dealt with the labyrinth which is the UK benefits system, it’s been a real daunting experience. I’m not ashamed. I feel very grateful to have such a strong social safety net. But I still struggle and worry. Besides half my benefits expire in 6 months time and then who knows? I apply again. I’d love to work, but I’m limited as a full time single parent to an autistic child. Besides I sadly made the mistake of staying at home raising our son, while A. travelled the globe for his career. (I thought we were a team, I was wrong). So this is the blog post I’ve wanted and needed to write for ages. It’s been very therapeutic for me. It’s not all sad though. I’ve found I have a strength I never knew I had. E. is growing up and becoming much more independent. We have found a new normal. Am I happy, no, not yet. But everyday I’m a bit stronger and more confident. I won’t let one Dead Beat Dad hold me back. Tomorrow is another day. *A. did leave us with a sizeable amount of money when he first left, although I’m still not 100% sure where it came from. But it’s no secret we had (have) debt and a high rent expense, so the money went quickly. He’s provided no financial support since July. I’m a foreigner. Well on paper anyway. I’ve now lived in Scotland (and England) so many years I feel a part of this country. But which country? The UK? Scotland? England? During the independence referendum we here in Scotland were constantly told how we were Better Together as one nation. Why? Well no real in depth reasoning, beyond pooling and sharing, and being part of a bigger nation. Six weeks later, I still wonder why bigger is considered better. If that was the case, India and China would be the land of milk and honey. While countries like Norway and Denmark should be economic basket cases. Let’s face it, critical thought wasn’t the forte of the NO campaign. It was dumbed down, scaremongering politics, the likes of which as an American I’m quite familiar with. (US Tea Party, anyone.). But one aspect of the campaign that fascinated me the most was the constant reminder that Scotland and England are the same, that’s why we can’t leave. Really? Let’s examine this assertion a bit closer. How many elections have the Scots voted for Labour only to have a Tory government put into Westminster by our much bigger brother to the south. I suppose no one needs reminding we only have one Tory MP in Scotland. So historically we don’t really vote the same. But this division seems to become even greater when you look at the difference in attitudes toward Europe (or rEU-rest of the EU). The most recent poll has 57% of voters in England wanting OUT of the EU. That figure shrinks to 37% up here in Scotland. Is it me, or does 20% not seem a fairly large variation in views towards staying in the EU? Then there’s UKIP? Living in Scotland we are inundated with the constant roar of this xenophobic party which has about 2% support in Scotland. In England that support grows to 21%. Similar political views? Well you decide. Up here in Scotland the support for the centre left party of the SNP has grown to 52% (or 47% if you look at the more conservative polls). Again, this doesn’t tell me that Scotland and England are the politically similar, it shows a very different picture. So why did the Better Together campaign spend two years, telling voters in Scotland we needed to stay tied to our “family” in England? I know if my family were right wing zealots I wouldn’t exactly be wanting to live under the same roof. I realise Scotland and England share a history and a small geographical area. But this is the 21st century. We are different. That’s a fact. The ties that bind us are now more to do with reality tv then any political unity. But fortunately Simon Cowell isn’t our leader. 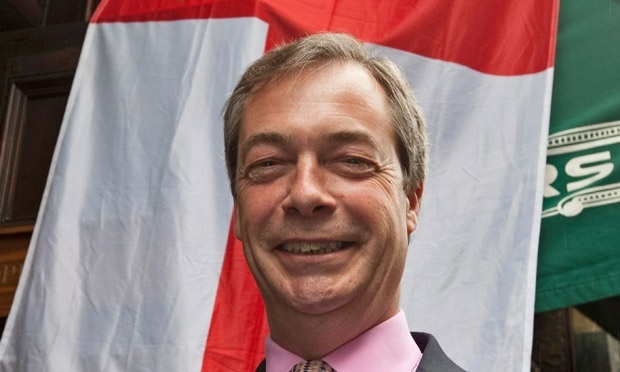 Of course compared to Nigel Farage, he seems a far saner option. Time to cut those blood soiled apron strings. Scotland you are different. And I dare say more forward thinking, welcoming and progressive. Be proud of that fact. Let’s work towards the day when we can be fully independent from our fearful, xenophobic brother to the south. We may come from the same place, but that doesn’t mean we need to all live in the same house.